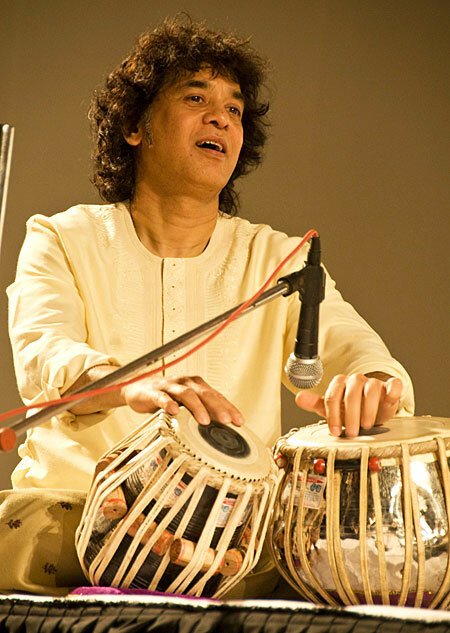 Musician/composer/educator Zakir Hussain, widely considered one of the world’s foremost masters of the Indian tabla, brings his unique talents to Lawrence University Wednesday, April 26 for the university’s 2016-17 World Music Series. 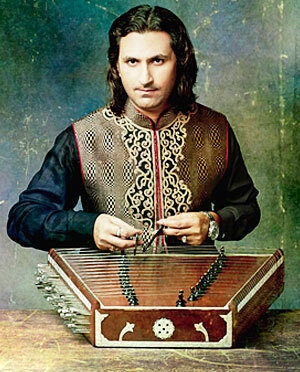 He will be joined by Indian classical musician Rahul Sharma. Tickets for the 8 p.m. performance in the Lawrence Memorial Chapel, at $10 for adults, $5 for seniors/students, are available through the Lawrence Box Office, 920-832-6749 or online at go.lawrence.edu/boxoffice. Since the passing of Ravi Shankar in 2012, the San Francisco-based Hussain has established himself as India’s greatest classical musician. Considered by many a chief architect of the contemporary world music movement, Hussain is widely regarded in the field of percussion and in the music world at-large as an international phenomenon. A child prodigy who began his professional career at the age of 12, Hussain was touring internationally by time he was 18. A 2009 Grammy Award-winner in the Contemporary World Music Album category, Hussain also was voted “Best Percussionist” in the 2015 Downbeat Critics’ Poll and Modern Drummer’s Reader’s Poll. As an educator, he conducts frequent workshops and lectures each year, has held artist-in-residence appointments at Princeton and Stanford universities and in 201 was appointed Regents Lecturer at University of California-Berkeley. Performing Hindustani classical music, Sharma is a master of the 100-string santoor, which is played by striking the strings with a pair of light wooden mallets. A native of Mumbai, Sharma has collaborated with numerous international musicians, including pianist Richard Clayderman and keyboardist Kersi Lord. Sharma provided the music for the Hindi feature film “Mujhse Dosti Karoge,” for which he won the Best Debut Music Director award at the 2002 Zee Bollywood Music Awards. During a 2015 visit to Delhi by the Duke and Duchess of Cambridge, Prince William and Kate Middleton, Sharma played songs by The Beatles on the santoor for the royal couple.